Tattoo Blog » Meet Joe Wang! Tattoo Blog » News » Meet Joe Wang! Beyond anything else, Singapore probably has more of a reputation as being a place that you don’t want to step out of line in. Strict laws and even stricter penalties for ignoring those laws have often resulted in the belief that Singapore is a Big Brother type state with little to no room for anything outside of the status quo. With that belief in mind, there’s probably not a lot of general knowledge about the tattoo scene within Singapore to the average outsider. The truth of the matter however, is that Singapore is really beginning to establish itself as a hotspot for tattoo within South East Asia. In 2009, the city held its first ever tattoo show, which brought in more than 120 different artists from around the world and was a rousing success. Amongst Singapore’s growing list of quality tattooists, you’ll find Joe Wang bringing the ruckus with heaps of colour and precision. 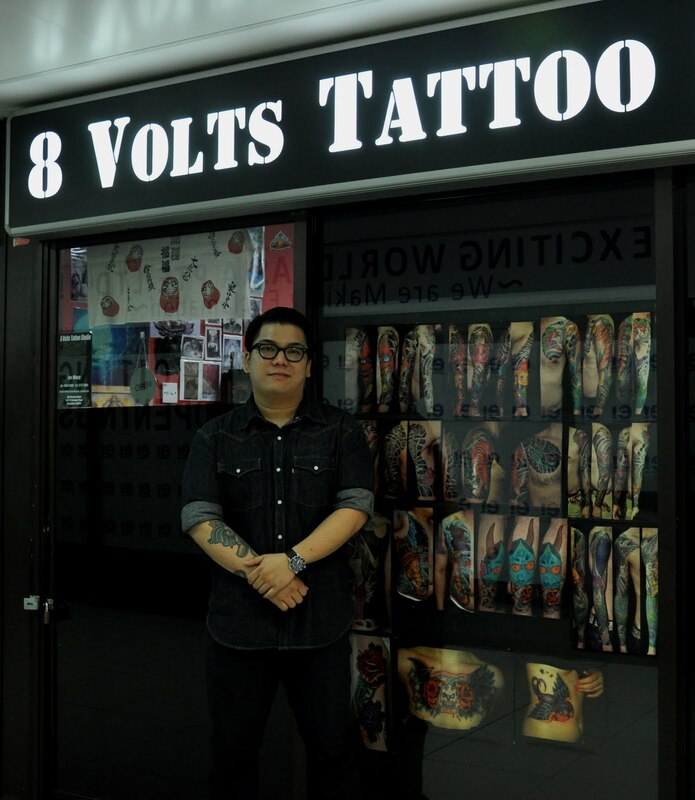 Wang runs a studio on Singapore’s Orchard Road called 8 Volts Tattoo and from the look of things, he’s doing his part to really get Singaporeans inked up and inked up well. As I said earlier, this is a guy who likes a lot of colour and there’s absolutely nothing wrong with that. I love a tattooist who can control their colour levels and ride that line between not enough and too much. The end results are tattoos that are nice to look at and very well done. At the moment there isn’t a lot of information about Wang and his work online, but that will change in due time. If artists like Wang continue to populate Singapore and if the tattoo scene continues to grow as it has been, it won’t be much longer before minds are being changed about what Singapore has on offer for fans of tattoo art.